I caught up with Moonhunt today when Phillipgr and I went up to Leigh for a quick pig hunt. Moonhunt has given me this book for the reading pleasure of forum members. The idea being that as each of us read it we sign the inside cover (much in the same way as Muckos Hat). I will read it first and then will pass it on to Phillipgr. Any one interested in reading it after Phillip register your interest here and we will pay it forward as Monhunt wants us to. I'll be keen, one question though. Will the pages not be stuck together after Phil reads it? veitnamcam, phillipgr and Toby like this. Ha ha ha ha from what I have seen of it so far, it is not that sort of book Gibo. After you GA hope all is good ? His other book is superb. Where can you buy this book? Bought a copy off the Web. Thanks. Spotlighting is one of the best I've read of the venison era. Really gets you in the mood.The NZ book on the Jennifer Mary Beard murder was able to capture the same age and feeling about the time. 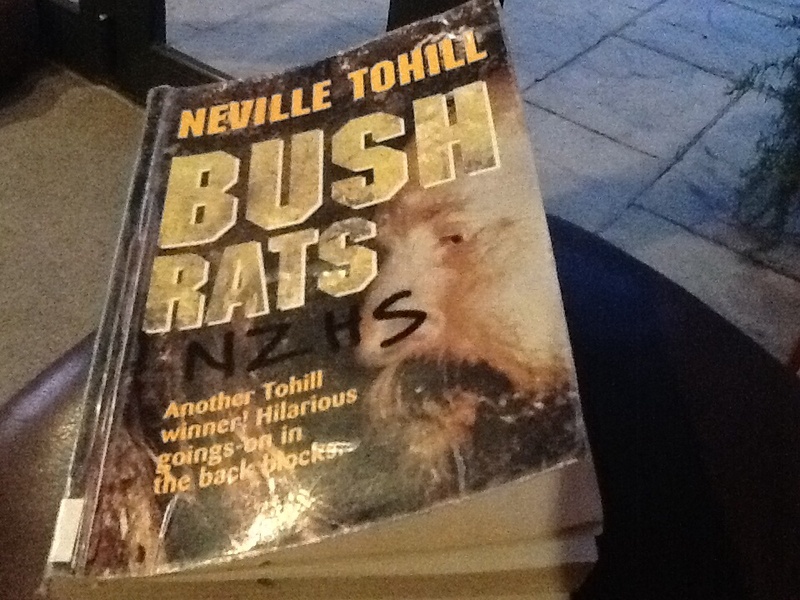 Some authors have it whilst many NZ hunting books are really only good to start the fire with.